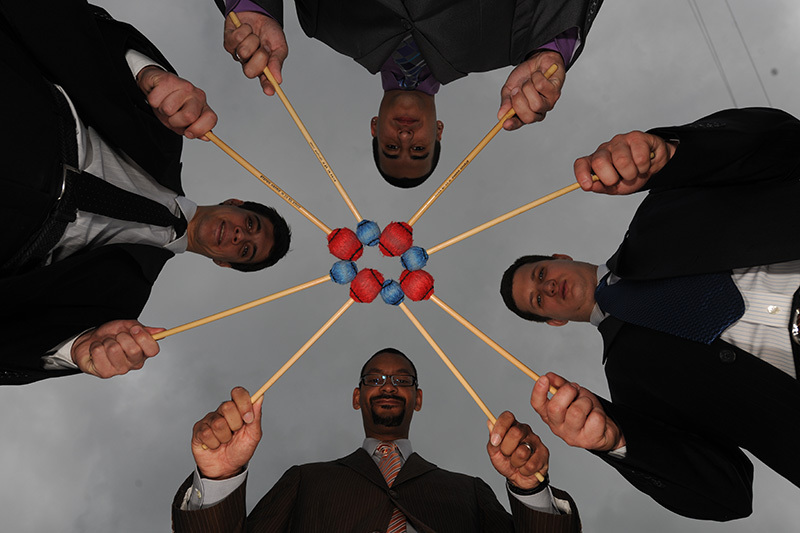 When drummer/vibraphonist Jason Marsalis and his brother, trombonist Delfeayo, met with noted journalist and musician Leonard Feather in 1992 to participate in a “Before & After” article for JazzTimes magazine, the two knowledgeable musicians were more than ready for the challenge: Name the artist heard performing a selection of Feather’s choice. Those who remember reading the article know that Jason and Delfeayo nailed every tune and artist that Feather presented. That Jason jumped in so quickly doesn’t come as a surprise to those who know him and have followed his career as a drummer, vibraphonist, composer and producer. He’s a constant student with an eager curiosity to absorb all there is to know about the music and particularly about the jazz musicians who came before. Marsalis is quite emphatic when it comes to the importance of looking back to the masters in order to really play jazz as it should be played. He frowns a bit on those artists who don’t do their homework. Marsalis’ formidable knowledge can also be attributed to being a member of the musical Marsalis family. As the son of pianist and educator Ellis Marsalis and the brother of saxophonist Branford, Wynton and Delfeayo, music, and particularly jazz, has always been central to his everyday life. Jason also had access to an in-house demonstration on the discipline that is required to play jazz. He did bang on a toy drum set when he was three and a few years later graduated to a legit set and began studying with New Orleans master-drummer James Black, who regularly played with his father. Because Marsalis was so young, his primary memory of the experience was Black recommending for him to read Stick Control, a book that Jason now calls “the bible of drum books.” Black’s lessons ended when the Marsalis family moved to Virginia in 1987 and didn’t move back to New Orleans until 1989. Black died on August 30, 1988. Regulars at Snug Harbor remember Marsalis napping with his head on his mother Dolores Marsalis’ lap during his father’s gigs and then jumping excitedly to the stage when Ellis invited him to sit in. By 1984, he was already playing regularly with his dad as well in his brother Delfeayo’s band. The year 1992 marked his first recording appearances, performing on Delfeayo’s outstanding Pontius Pilate’s Decision, followed shortly thereafter on Ellis’ solid Heart of Gold. An important development in Marsalis’ career came in 1995, when he began working with pianist Marcus Roberts, who had previously played in Wynton’s band. Jason’s drums are heard recording with Roberts for the first time on the pianist’s 1996 album, Portraits in Blue. His desire to intensify his work with Roberts and be available to tour with him led to Marsalis leaving the very successful Los Hombres Calientes, a band he co-led with percussionist Bill Summers and trumpeter Irvin Mayfield. Marsalis, who in 1998 and 2000 performed on two albums with the group, credits Summers for his first introduction to the “details” of African and Afro-Cuban music. 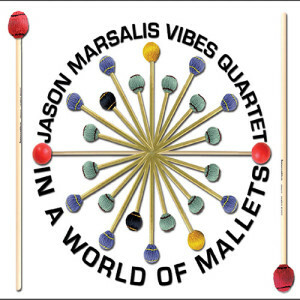 It was in 1998 that Marsalis put out his first album under his own name, Year of the Drummer, which, like the Los Hombres’ albums and his next three solo endeavors, were released on Basin Street Records. 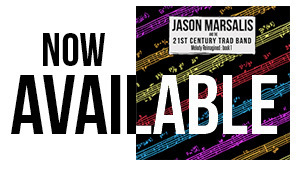 Marsalis is at the top of his game on his new album, The 21st Century Trad Band, as a vibraphonist and composer. He digs into his deep wealth of musical knowledge to produce a fresh sound with deep roots. Like the rest of his musically talented family, Marsalis has strong opinions and shares them here. The title of your new album, The 21st Century Trad Band, is rather unusual and, considering the music, could be misleading to those who might interpret it as performing New Orleans traditional jazz material in a modern way. That actually is not quite the case. It’s really inspired, honestly, by a lot of debate that people have had over the music for the last 30 years—maybe even longer than that. I think that it is about this whole idea of people who talk about moving music forward. What they say is that it is important to move forward; you must never look back. I think it’s possible to do both things. I don’t think one is mutually exclusive from the other. If you’re from a place that has its own music—whether it’s New Orleans or Brazil—you believe in passing the traditions on. And you then believe in what you can do new with those traditions. Other places that may not have their own folk music, so to speak, then the conversation is, “What’s the next thing?” I think any debate about music is about that. The album art is really fun with the depiction of all you guys as superheroes. It reminded me of Wayne Shorter saying that he had all these action figures in his studio—a hilarious image. How did y’all decide on that? Your last two albums have been with your Vibes Quartet. Though in New Orleans you lead your quartet, Drums Unlimited, on drums. It appears, at least from this perspective, that you’re getting more national attention as a leader on vibes and as a sideman, particularly with pianist Marcus Roberts, on drums. That is mostly true. I’d say the difference, though, is mostly that I do have music that I’m writing for a band [the Vibes Quartet]. This album is saying that I have a band now and we have a repertoire of music and you will be hearing from us. I do think with the vibes I am getting more attention, because it is a melodic instrument and also it’s an instrument that’s still rather rare. Next year, that is going to change, because I’m writing the music for a documentary entitled Heirs and it’s music on drums and vibes. It seems that there are more vibraphonists on the jazz scene. Do you think the instrument that for years many people associated just a few artists, like Lionel Hampton and Milt Jackson, is enjoying a rebirth? Then I was in Houston and someone told me about this vibes player, Roman Skelkun, who was coming to New Orleans. It went from zero [vibes players] in the city to three in a year. That told me that, yeah, this instrument is coming back. There has been a national resurgence of those playing the vibes, including people like Stefon Harris, Mike Dillon, Warren Wolf and others. Let’s talk about your quartet on The 21st Century Trad Band and 2013’s World of Mallets. One thing that stands out is that all of the instruments here are essentially rhythm instruments. What makes that work so well? I do tend to think rhythmically for all of the instruments when I write. Studying drums and studying rhythms means you can use syncopation and accents in different ways compared to someone who doesn’t. Also, having played drums, I have a better understanding of what to do with the rhythm section or what to tell the drummer. The 21st Century Trad Band has a very upbeat mood as did last year’s In a World of Mallets. Of course, the most obvious realization of that is your wonderfully quirky tune, “The Man with Two Left Feet,” which you also played with your Drums Unlimited band recently. Is there any explanation why happiness feels so pronounced? The reason is that I’ve found musicians who want to play the music that I’m playing and who are dedicated to playing it. We were on tour before we did the record—the first one and the second—so the guys are seeing that I’m really into this for the long haul. Also, the guys are hungry. They’re hungry to play and they’re hungry to succeed. That’s why there’s an upbeat sort of aura to the record. I believe that all moods in music should be captured—happiness, sadness—but the point is that I do have a more upbeat perspective on where things are going with my music and the music in general. There’s a lot to be done. I’ll admit seven or eight years ago I didn’t have that same view. I’ve gotten to see more alternatives here and there. You tend to quote [putting snippets of other tunes in a song] quite a bit when you play. Your father adds quotes a lot, too, and I noticed that pianist Austin Johnson also does. Decades back, in the ’40s, ’50s and ’60s, quoting was quite popular in jazz, so it’s kind of old school. It often brings a smile. Yes, there is a good bit of quoting. I think it’s important to do that because you’re playing melodies. It shows that you have a sense of humor and also shows the music that you’re aware of. You’re not just thinking of only playing the correct notes, or the correct harmonies, or the correct chord changes. You’re trying to create music and create melodies. [Quoting was used more back then] because musicians then knew more music and they learned more music. Unfortunately, in my generation, you find musicians don’t learn as much music. A lot of times, they learn what’s on the gig and they don’t learn to become a better musician. You accomplish many different tonal qualities from the vibes though, as you explained, you did utilize a few “disciplined overdubs” of other instruments to create a “percussion ensemble” effect. In terms of the sound of the vibraphone, it did take me a while to develop a really pure tone and I’m still working on it. Sound is something that Marcus Roberts and I used to talk about a lot, because that’s very important to him. I remember practicing scales and I was playing really light and I liked the sound. I said, “Okay this is what I need to do.” So I started working on playing relaxed and not hitting the bar as hard—you don’t hear the attack, you hear the tone. 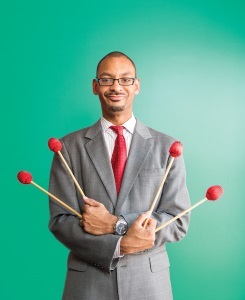 Many New Orleans jazz fans have watched Jason Marsalis, who graduated from the New Orleans Center for Creative Arts (NOCCA) and attended both Loyola University and the Eastern Music Festival, grow from a promising young drummer to a talent to be reckoned with on drums, vibes and as a composer. His skills merge mightily on the adventurous The 21st Century Trad Band, a comprehensive album that pops with spirited virtuosity from, as Jason describes them, all of the “hungry” guys in the band. 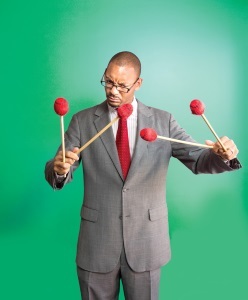 Currently, Marsalis’ focus is primarily on the Vibes Quartet, though in October he played several dates at Snug with Drums Unlimited that included pianist Johnson and two recent New Orleans transplants that were one-time students at Florida State University. With the usual bounce in his step, Marsalis bounded onto the stage and the group opened with the standard “After You’ve Gone” before heading into some original material. With Marsalis behind the drums, it was up to pianist Johnson to supply the melodic quotes. A versatile artist, Marsalis is wide open to all music. In recent years, he’s been performing traditional New Orleans jazz more often at meccas of the music like Preservation Hall and Palm Court. He continues to play and record with saxophonist John Ellis’ jocular jazz band, Double Wide, and he stepped back a bit to his classic roots in 2011, when the Marcus Roberts Trio performed George Gershwin’s “Concerto in F” with the Saito Kinen Orchestra. Marsalis’ encyclopedic brain, which served him so successfully for Leonard Feather’s “Before & After” test, was revealed in the classical genre one day when he stopped into OffBeat Managing Editor Joseph Irrera’s office. They chatted about classical music, as Irrera is a knowledgeable fan. Much to Irrera’s amazement, Marsalis began vocalizing nearly the entire first movement of Mahler’s “Symphony No. 2—The Resurrection,” reproducing all of the orchestra sounds with his voice and smacking his lips for the timpani part. Marsalis’ head is full of music—be it jazz, classical, or any other genre that is built on a solid foundation of knowledge and played with a hungry spirit. He’s up for the challenge. This entry was posted in Articles, Press and tagged A World of Mallets, Art Blakey, curiosity, Ellis Marsalis, Geraldine Wyckoff, Heart of Gold, JazzTimes, Los Hombres Calientes, New Orleans Center for Creative Arts, New Orleans Music Magazine, NOCCA, offBeat, The 21st Century Trad Band, The Man With Two Left Feet, vibraphonist, Wynton Marsalis on November 1, 2014 by abell.